The first song from Deepika Padukone’s ‘Padmavati’ titled ‘Ghoomar’ received a humongous 10 million views in a single day. 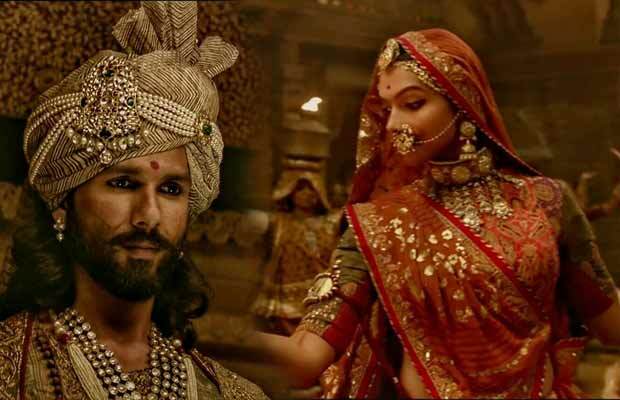 The audiences were completely awestruck when the first look of Padmavati, which has Deepika Padukone in a regal look was released by the makers last month. The poster, where she portrayed the most beautiful woman, Rani Padmini received astounding response from the audience. Seeing the amazing response that audience had just with a poster & on special requests from millions of fans, the makers of the film decided Deepika’s song, Ghoomar to be the first song to be released from the magnificent & much awaited film. The makers have been insistent on sharing Deepika’s content pieces first keeping in mind the tremendous demand the actress has generated. Be it the first look, first posters or now the first song, Deepika Padukone’s content pieces made it to the public first. The song showcasing the regal beauty performing the traditional folk dance ghoomar has received a humongous response. The actress is showered with praises for not just her enchanting beauty and royal stature but also her incredible dancing skills. We have seen Deepika Padukone cast her magic on the audiences with her earlier performances in songs that have been such visual treats. Be it, Deewani Mastani, Mohe Rang Do Lal or even Nagaade Sang Dhol, she has picked up difficult dance routines and performed it like a dream not just with her moves but also with her eyes. The latest song ‘Ghoomar’ proves to be another winner in Deepika Padukone’s stride. Next articleSAB TV Co-Founder Gautam Adhikari Passes Away!